Commuters complain mobile apps showed only premium services during cab shortage. 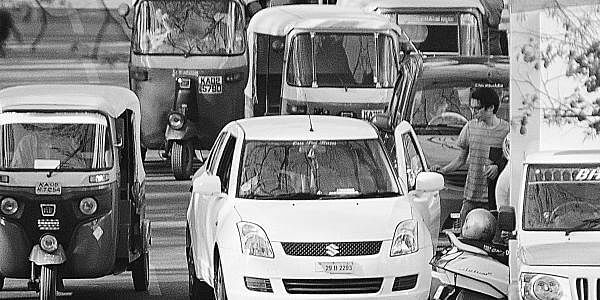 BENGALURU: The strike by cab drivers entered its third day on Friday. And even as no solution to the deadlock between app-based cab aggregators and drivers appears in sight, many commuters complained about high fares because of fewer taxis on the road. “It took me 45 minutes to get a cab as there were only a handful of taxis in the city. I got an Ola Share after a long wait but they charged me Rs 145 against the normal rate of Rs 95,” said K Shruthi, a regular commuter between J P Nagar and Shivaji Nagar. “I was forced to book a cab at three times the fare I usually pay despite the ban on surge pricing. Many drivers also asked to cancel the rides as they were scared to operate fearing attacks attacked by drivers’ union,” said S Swathi, a commuter in Indiranagar. “It’s high time for the government to rein in the protesting drivers and regulate aggregators who have hiked the fares due to the strike” she added. An Uber spokesperson said they have not been charging above the government fixed fare even during peak hours. The upper limit rate fixed by the government is Rs 19.5 per km for AC cabs. Ola was unavailable for comment. Some commuters complained that mobile applications of cab aggregators showed only premium services, taking advantage of the shortage of cabs due to the strike. For instance, Micro and Mini cabs, the cheapest ride options of Ola, were hard to find on the cab aggregator’s app on Friday. There were few UberGo taxis, which is the Uber’s low-cost cab service.